I'm not one to ever be reflective and look back on a year on New Year's Eve the way some do. I have never "gotten" the holiday. I've written about it before. I could go on for a whole post about how it feels made up and I've always felt like I'm forcing myself to act as though it is different from any other last day of any other month. But I won't. It's a good excuse for me to post something again though since after my burst of posts explaining just what was the reason for my prolonged absence, I kind of lost my drive again. I survived a decent Connecticut winter and my first job with kids (a substitute school nurse). I loved it and decided that's what I'd like to pursue. 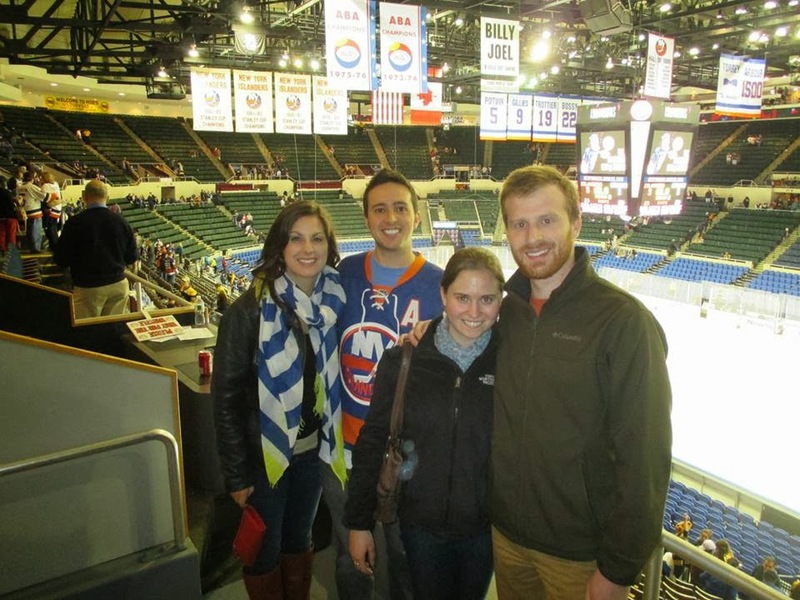 I joined the Catholic church at Easter Vigil and deepened relationships with fellow bloggers in the process. I took two trips south and spent time in the state of Alabama for the first time. I attended two weddings, one on each trip. I saw my nephew both times and both nephews one time. I was able to meet my cousin's new baby. We moved to New Jersey and found a house we love in a town we love across the street from a church we love with a fantastic new group of friends we (guess what??) love. We visited my cousin and her husband in Chicago and had some amazing pizza! 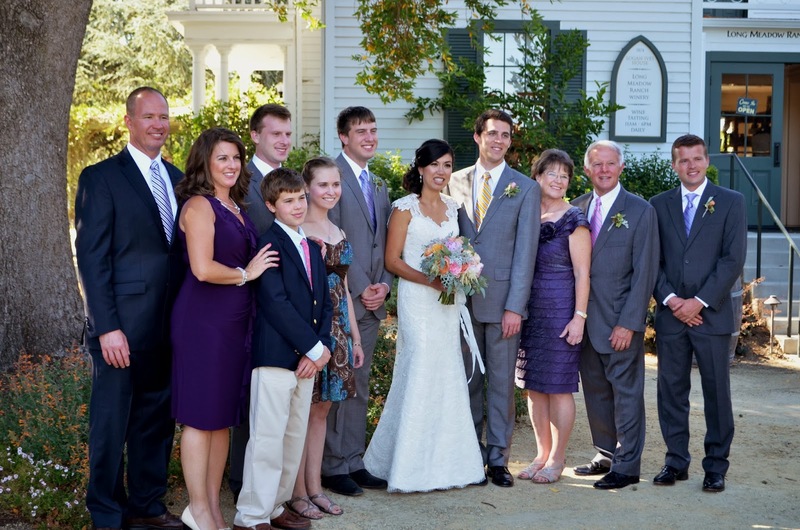 We celebrated the marriage of Brice's brother and his med-school sweetheart in the beautiful wine country of northern California. We were there for a whole week with his mother's entire side of the family. We explored the Delaware Water Gap and High Point, Washington's Headquarters, Jockey Hollow, and the shrine of Our Lady of Czestochowa. We attended daily Mass, together and alone, many, many times. 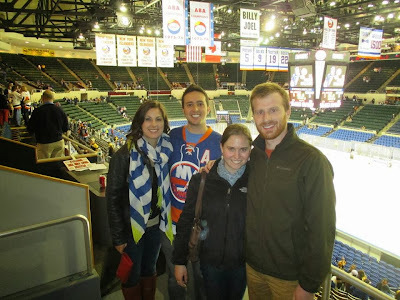 We spent lots of time with new friends, including a trip out to Long Island to see an Islanders hockey game. I (finally) finished my bachelor's degree in nursing (online). And I (finally) found a job. Not a school nursing job, but still with kids in a pediatric office. And I love it and the people with whom I work. I was able to travel to see my good friend in PA twice--one time to also share in the baptismal celebration of another friend's son and another to support my good friend at the beginning of a continuing health challenge. I got pregnant (!) and we anticipated the arrival of a baby, sharing that joy with others. 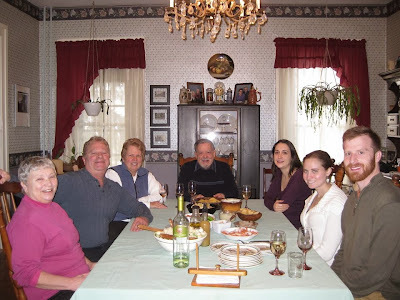 I began my Creighton (NFP) training in New Hampshire and visited my Albany relatives on both trips. We adopted a magnificent dog who is practically perfect in every way: Lillian Marie. 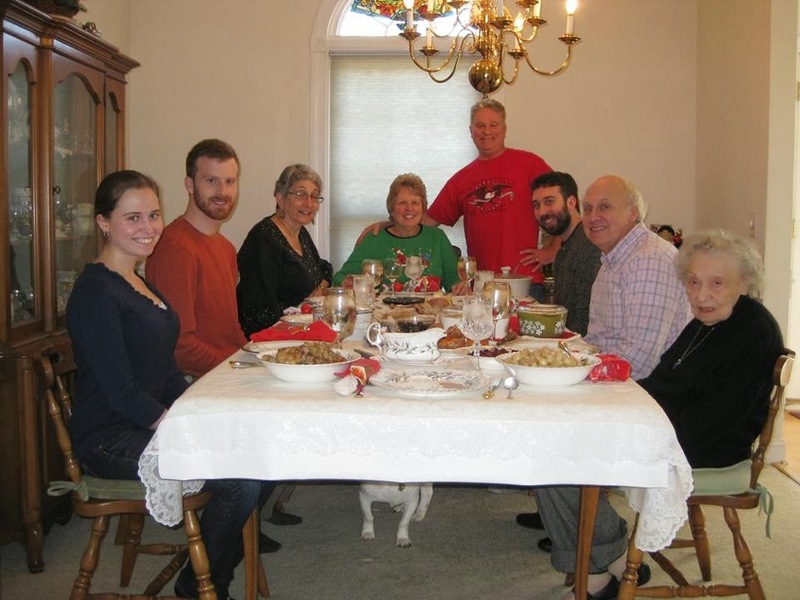 We spent Thanksgiving with my parents at my aunt and uncle's house and were joined by my cousin. We got a visit from my two best friends, up from the sunny south. We were able to enjoy a trip to NY and they got to see plenty of snow. We spent a week in NC with our families for Christmas and were able to see almost everyone we wanted to see. Yes, these are all the good things. And you'll see that I included our baby. This year had its trying times. In my family, in my husband's family, our extended families, our marriage. Deaths occurred. Jobs were lost. Disappointments occurred left and right. And we experienced the sheer devastation at 12 weeks pregnant that our baby had serious anomalies (Pentalogy of Cantrell). And we ultimately lost our baby. Good times and difficult times. I don't like to label anything as "bad"--almost ever. "Good" always seems a word like a translucent veil through which to view an event. Everything still seems beautiful--there are "bad" parts of it, but they are more difficult to see. "Bad" always seems a word like a heavy black tarp thrown over an event. It leaves you unable to see anything underneath. All you know is that what lurks beneath that tarp was "bad". I could do that to this year. But I won't. Maybe it's easier for me because we had many good things happen before our biggest "bad" thing. But I've always felt this way. Even the year I was 17 and my good friend was killed in a car accident in February wasn't a "bad" year. It was a "bad" event, but throwing that tarp over the entire year would have meant classifying some really wonderful things as happening in a "bad" year. And why do people insist on encapsulating years that way anyway? Life is fluid and flows from one day to the next, even when a new year starts. Don't wait for the new year to change something you want to change. Don't wait for that new year to start feeling like "bad" events are behind you. I truly don't intend for this to be a rosy, optimistic, "glass is half-full" kind of post. I consider myself to be a positive pragmatist. But this is what I think. Tomorrow will be no different for me from today. Both days are days to begin again. I can begin again every hour of every day. I encourage you in the coming year to use your translucent veil to cover the past. And I encourage you to see the chance to begin again in every. single. moment. There is goodness in every one. Beautiful reflections, sweet Kelley. Lots of love and prayers for the year ahead. Thanks, Patty. Btw, where's your blog? great reflection, as well. I think it is amazing how much we accomplish within a year, even when some of those things are not on our horizons. Thanks for sharing and Happy New Year - may you have a peaceful and safe 2014. You are quite right. Thanks and same to you. I loved reading this. And how true that we can begin anew each hour of every day. Happy new year! Thanks, Stephanie. Happy New Year to you and yours.